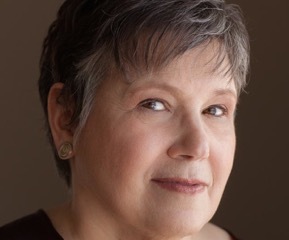 Midwestern Gothic staffer Rachel Hurwitz talked with author Judith Claire Mitchell about origin stories, finding inspiration in history, balancing wit and darkness, and more. Rachel Hurwitz: What’s your connection to the Midwest? Judith Claire Mitchell: I moved to Iowa City in 1996 to attend grad school. I was what they call a non-traditional student, which is a polite way of saying I was middle-aged. My post-MFA plans were to return to my house in Rhode Island, go back to work at the law firm where I’d paralegal’d for 20 years, and write in my free time. But before leaving Iowa, I sent out some oh-let’s-just-see-what-happens applications for post-MFA fellowships and, to my surprise, I received the Wisconsin Institute for Creative Writing’s James C. McCreight Fiction Fellowship. This required me to hop over to another Midwestern state for one more year. After that year, the the English Department at UW-Madison kept me on for one more year, and then for another, and eventually I discovered I had found my way onto the tenure track. So I now appear to be a professor in UW-Madison’s English Department teaching creative writing. RH: You grew up in New York, went to school and began your career there, but eventually transferred out to Wisconsin. How has this transition affected your life and your work? JCM: Because the move was connected with my receiving, first, an amazing fellowship, and ultimately, a career so fulfilling I’d never even dared fantasize about it, I’d say the transition has affected my life in an incredibly positive way! I love Madison. I like the relatively small scale of the city and the intellectual life you find in university towns. I also like to walk my terrier in the local dog parks where the prairies have been restored and the wildflowers are proliferating. It’s very beautiful here. And, in turn, working with the UW-Madison creative writers—both the faculty and the students—has been inspiring, rewarding, and encouraging in terms of my work. At the same time, I can’t say that the Midwest has crept into my fiction, at least not yet. My imagination still seems rooted in the east, New York especially. RH: You didn’t start your career as a writer, but as a paralegal. Can you tell us a little more about the path that led you back to writing? JCM: I’d been a creative writing major as an undergrad but never thought I was good enough to pursue writing seriously, so when I graduated from college, I basically stopped writing, and a friend at a law firm got me a job there as a paralegal. I didn’t mean to remain a paralegal as long as I did, but I wound up working with a nice group of people in Providence and the next thing I knew, 20 years had zipped by. Sometimes, if you work with good people, the actual tasks you perform become less important than the collegiality and common purpose of the team; that was the case for me. But then a friend of mine died very suddenly, and I began to understand how very short life could be. I decided I needed to return to doing what I’d once loved, even if just as a hobbyist. That led to me evening and summer writing classes here and there, where my teachers kept urging me to take my work seriously and consider an MFA program. I was leery; it seemed irresponsible to leave a secure job at the age of 44 to go get a graduate degree in the much sought after field of literary short fiction. But I’d recently married a man who was (and still is) an artist, and he encouraged me to take a chance and apply to programs. Somewhat reluctantly, I did apply, though to very few programs. My plan was to take the low residency route, which would allow me to continue to work at the law firm. But I also sent off one of those oh-let’s-just-see-what-happens applications to the Iowa Writers’ Workshop and damn if I didn’t get in. I said to Don, “Now what do we do?” and he said, “We’ll list the pros and cons and discuss them carefully and then you’ll quit your job and we’re moving to Iowa.” We did exactly that. RH: It seems that your teachers weren’t very supportive of your writing growing up. Now as a teacher yourself, how would you say those perspectives have affected you and the way you interact with your students? JCM: I have to say that most of my teachers were hugely supportive of my fledgling, student efforts, but, yes, there was that one college professor who told me that my work was superficial and glib, and just in case I hadn’t gotten it, added, “When people tell you your work is good, I want you to remember me telling you it isn’t.” I had the self-esteem of a dead houseplant back then, and those remarks just flattened me. As you can imagine, I’m not a fan of the “knock ’em down and see if they get up” school of pedagogy. My feeling is that we all get knocked down plenty in this life, and a teacher or mentor just might want to try to create a haven instead, a space where students aren’t coddled or lied to, but where they can feel safe enough to expose their work, good or bad, without fear they’ll be humiliated. I think my students would tell you that I don’t shy away from pointing out every single infelicity on their pages, but that I do so in a way that makes them eager to continue onto revision and to their next story, rather than mortified that they ever put pen to paper. That’s my goal, in any case. RH: Similarly, what is the greatest thing you’ve learned about writing through teaching? JCM: My grad students turn me on to new writers and blow me away with their work, but I’m truly inspired by my undergrads, who are not always the best writers in the world (at least not yet) but who are so brave about exposing their imperfect work to their classmates and me. I often begin undergrad workshops by writing this quote by Thomas Mann on the board, “A writer is someone for whom writing is more _________ than it is for other people.” I ask the students to guess the missing word, which is “difficult.” I deeply believe this. Writing is supremely difficult. But my undergrads often suggest that the missing word is “fun.” That’s an important lesson, too. That’s how most of us began. Not for publishing contracts. Not for prizes. Not for tenure or recognition or movie deals or to be the best or even to change lives the way literature can. No, we originally did this incredibly difficult thing—often with full knowledge of how difficult it is—for fun. My undergrads remind me of that. RH: History and how the past influences the present plays a large role in A Reunion of Ghosts and The Last Day of the War. Why is the history of Vee, Delph and Lady’s family and so crucial to the novel and why are they so obsessed with it? JCM: I’m interested in the way Americans relate to their origin stories. Americans are so attached to their pasts, and we use those pasts in such strange ways—sometimes to celebrate our families and ourselves, but too often as a means of establishing hierarchies or marginalizing one another. Both of my novels examine the ways Americans define themselves in terms of their origin stories. In The Last Day of the War, Armenian-Americans who could, if they’d wished, ignore the old country, instead become enmeshed in the aftermath of the Armenian genocide. 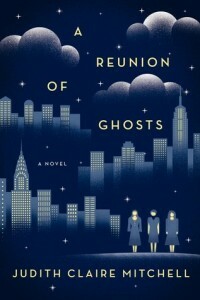 In A Reunion of Ghosts, the three main characters allow their origin stories to play an outsized role in their self-identity. But also—I myself was obsessed with Fritz and Clara Haber’s lives and the lives of their descendants. Their family story is one of suicide, alcoholism, blind patriotism, and exile, but also one of brilliance, perseverance, and proto-feminism. So a simpler and equally true answer to your question is that Vee, Delph, and Lady were created as vehicles to give voice to my own obsession with the Habers’ story, and, once created, the sisters took on lives of their own. RH: A Reunion of Ghosts is harrowed by many as a truly funny book, with puns and jokes galore. How did you balance the wit of the book with its dark undertones? JCM: The conceit of the novel is that it’s a suicide note written jointly by three sisters. That means it’s the sisters’ collective voice that propels the narrative forward. I knew right away that the voice would be laden with jokes and puns and wisecracks. I did a lot of research on the way Jews have used humor throughout the centuries, including during the Holocaust. The humor connects the sisters to their heritage. At the same time, the humor came pretty naturally. It’s not as though I’d write a passage about Vee’s breast cancer and then think, well, that’s pretty dark; I guess I need to add three witticisms to lighten the mood. The voice just came out. If a pun occurred to me, I used it. I didn’t struggle or reach for the jokes. Humor tends to emerge from the unconscious fully formed. A funny remark just comes out of your mouth and people either laugh or they don’t. It was the same in writing these sisters. RH: The family tree for the Alter sisters is based upon the real scientists Fritz and Clara Haber. The Last Day of the War also features glimpses of historical characters. Do you normally find your inspiration in history or is this just coincidence? Is there a specific mindset or place you need to be in to write in such a way? JCM: It’s definitely not a coincidence. If someone had told me during my early days at grad school that my first novel would center on historical events (the aftermath of the Armenian genocide), I’d have told them they were confusing me with someone who knew something about history. But I wound up enjoying the research I did while writing The Last Day of the War, and I also wanted to continue to explore the genocides of the 20th century, so it was clear even before I finished the first book that history would play a role in the second. At the same time, while I do find the historical settings interesting in and of themselves, they also work as narrative engines and, above all, as metaphors, by which I mean the past is always an oblique way of talking about the present. In terms of a “mindset,” I do find it a bit difficult to move back and forth between the world of my story to the world of department meetings and classrooms and doing the laundry. Once I’m in 1939, I like to stay in 1939. So I’m the sort of person who likes to go off by myself to write. Retreats, coffee shops… Once I rented a hotel room in a summer resort during January. It was like a ghost town. I had a room with a king-size bed, and I’d spend the days writing while sitting on one half the bed and the nights sleeping in the other half. It was very lonely, but it was also the most productive writing week of my life. JCM: I’m working on a new novel that is also historically based, though not quite as much as the first two books. I’m also consumed with running my creative writing program. I’m also trying to remember to have fun. Life really is much too short. You may quote me.